Leach’s Storm-petrel is one of fourteen bird species that nest regularly on Sable Island (see list below). Gulls, terns and Ipswich Sparrows are the most numerous of the nesting birds. 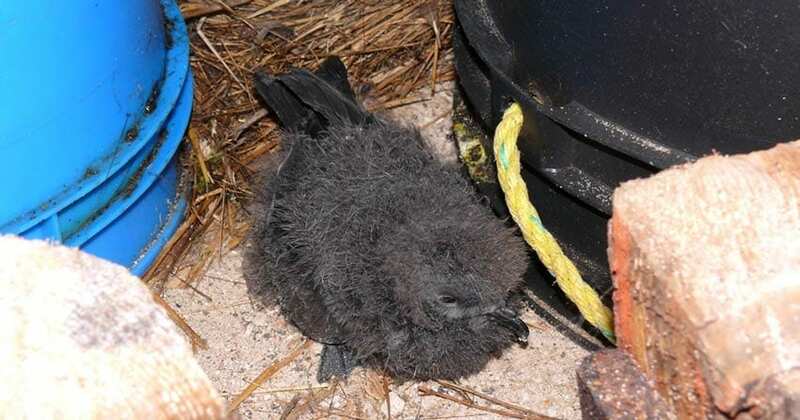 Leach’s Storm-petrels are relatively new to the island’s breeding bird community. 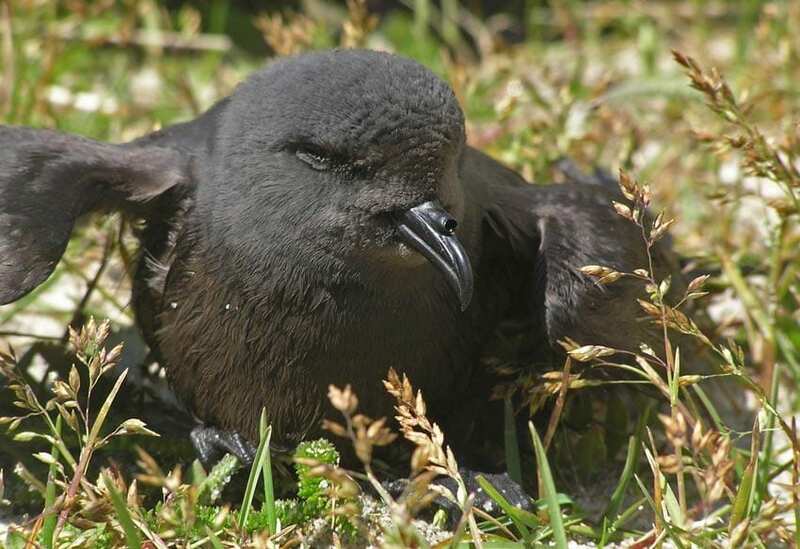 Nesting behaviour was first recorded in early July 1994, when the petrels’ Chatter Calls were heard as a few birds swooped around the Aframe after midnight. 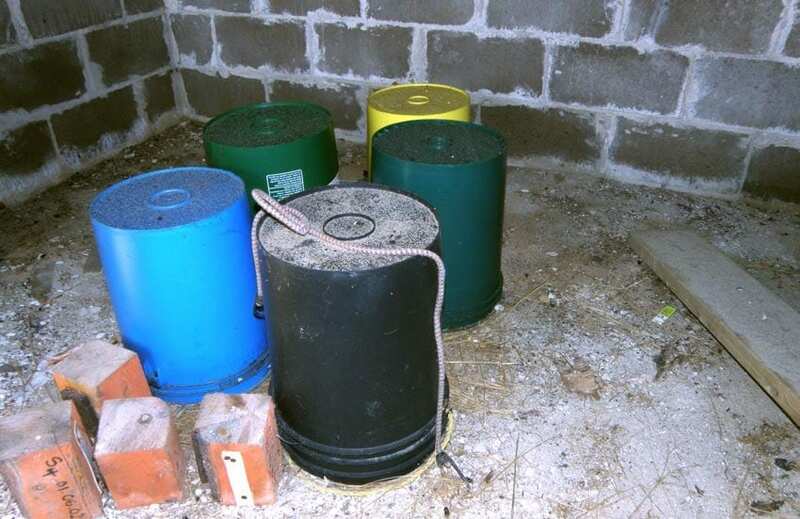 The Aframe was still being used as a field camp, but petrels found some suitable burrow habitat under the building’s half-buried wooden foundation. 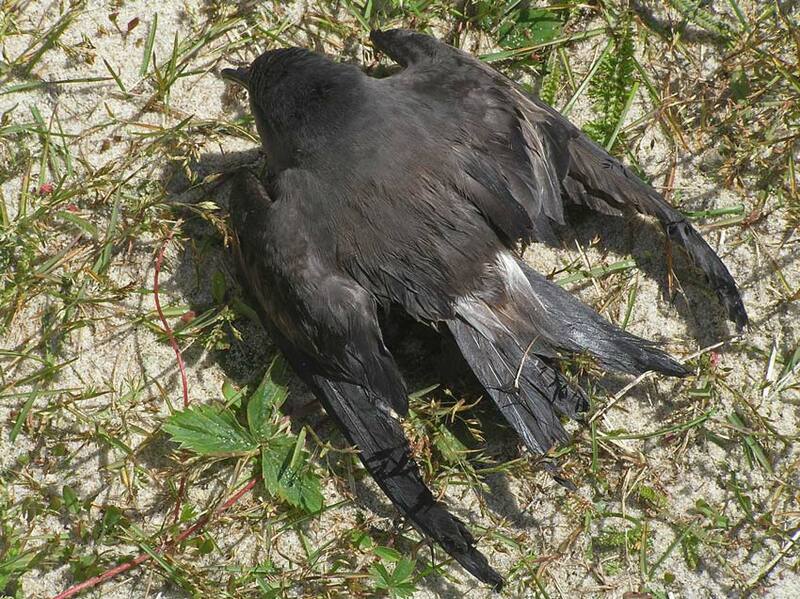 Leach’s Storm-petrels now regularly nest on Sable Island. 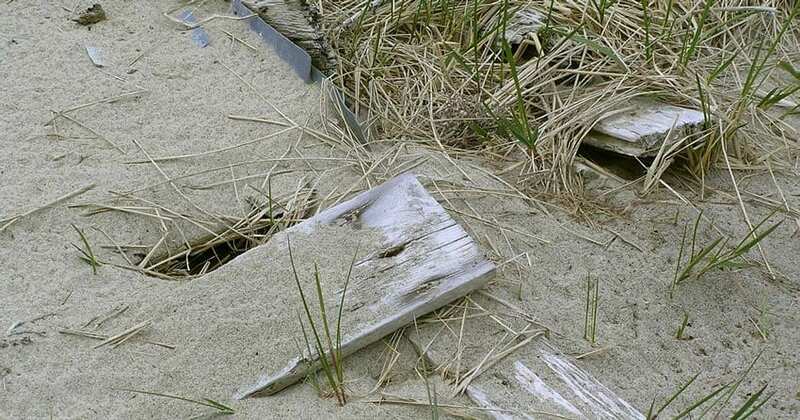 Following the first observation in 1994, nesting birds were found in areas adjacent to human structures: the Nova Scotia Field Camp, West Light, the Sable Island Station, the Aframe, and DFO’s East Light Field Camp. The largest colony appeared to be at the Nova Scotia Camp—at least 30 pairs. However, now that the camp has been demolished, the greatest number of petrels may be at the Sable Island Station. They are widespread in the Station area, with some petrels nesting amongst terns where the tern colony has spread into areas around existing structures at the south and southeast sides of the Station site. Most of the petrels have established nests under buildings, walkways, and piles of lumber. Some have also burrowed into steep banks in well-vegetated terrain away from the Station and other infrastructure sites. This species is known to make horizontal burrows up to a metre long, but it is not known if petrels on Sable Island have been able to excavate, and maintain, such lengths in the island’s sandy soil. At least one pair burrowed into a dense patch of beach grass thatch (inside a horse exclosure); an egg was present but the ‘burrow’ had been abandoned, perhaps after a period of heavy rain. Leach’s Storm-petrel is one of the most abundant seabird species breeding in the Northwest Atlantic. The size of the breeding colony on Bon Portage Island, Nova Scotia, has been estimated to be about 50,000 pairs. The number on Sable Island is certainly very small in comparison, but no population estimate is available. 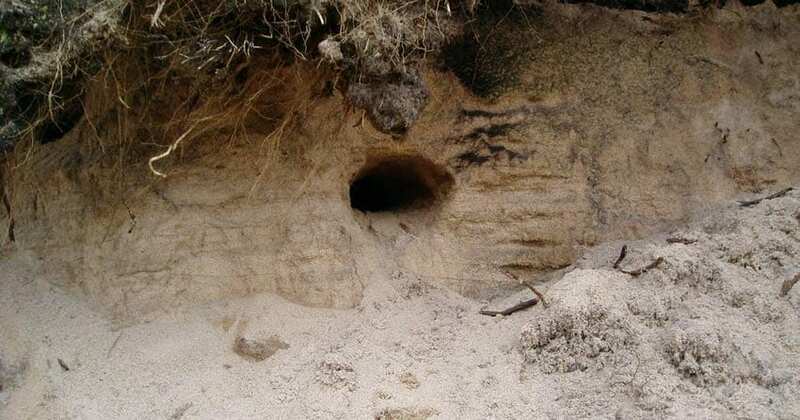 Fortuitous observations of nesting (burrows and nighttime vocalizations) in shrub-heath terrain indicate that the number would likely exceed an estimate based on counts of breeding pairs associated with human infrastructure. The petrels’ vocalizations are now part of the nighttime soundscape at the Sable Island Station: the noise of the surf from the north or south shoreline, moaning voices of grey seals on the beach, hundreds of terns’ high-pitched conversations, and Leach’s Storm-petrels calling out as they circle and swoop bat-like in the dark. 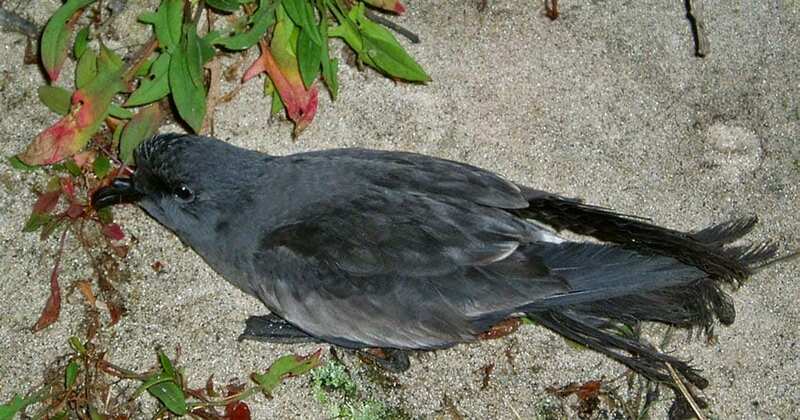 The Leach’s Storm-petrel is a small seabird (20 cm long, with a wingspan of 46 cm), mostly dark grey in colour. Since individuals fly to and from their nests only at night, there are few opportunities to photograph them. 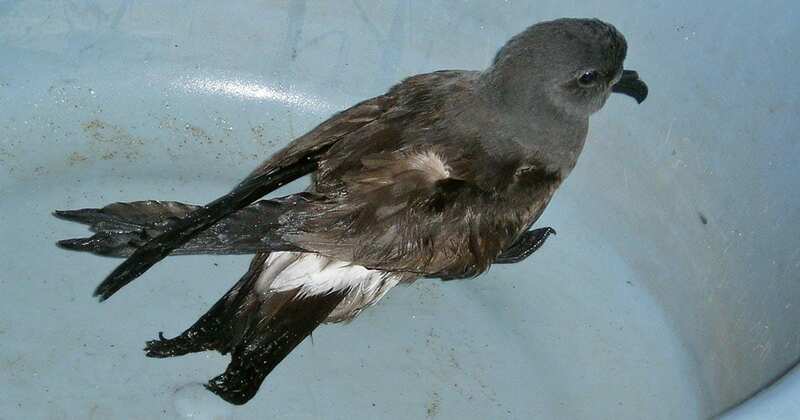 This adult petrel had blundered into a plastic container half-filled with rainwater. Terns flying over the northern edge of their colony near the Sable Island Station. 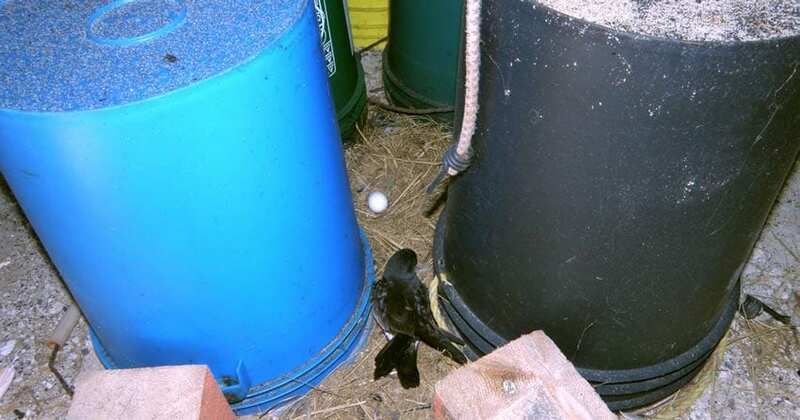 Leach’s Storm-petrels are nesting amongst terns where the tern colony has extended into areas next and near to Station facilities, such as the helicopter landing pad and several nearby storage sheds. Nesting petrels have also been noted in the densely ‘terned’ margins of the south beach road. Nesting activity (i.e., petrels in burrows) has been recorded on Sable Island as early as March 31st and as late as October 3rd. 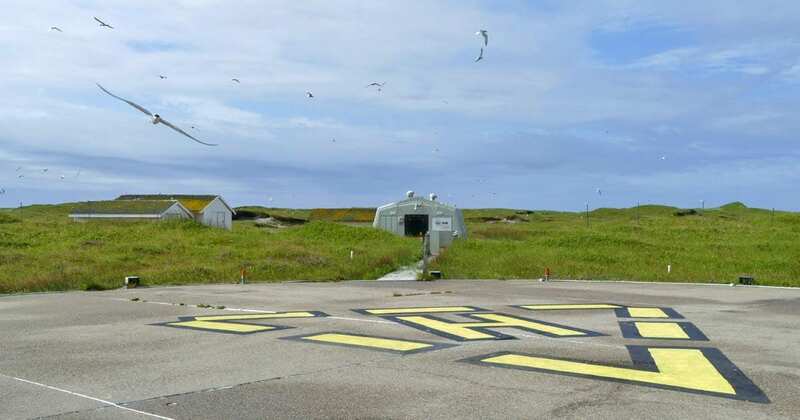 In May 2005, entrances to petrel burrows were found amongst the remnants of a building in the Old Main area. In 1971, this abandoned building was still standing, but wind-blown sand had begun to envelope and fill the structure. By 2005 the building was mostly collapsed and overcome by an advancing dune. However, the buried remnants (floors, walls, frames, doors, etc) likely provided some support for burrows. Three burrow entrance holes are visible between and under exposed planks. The male petrel digs the burrow, using his feet and bill. 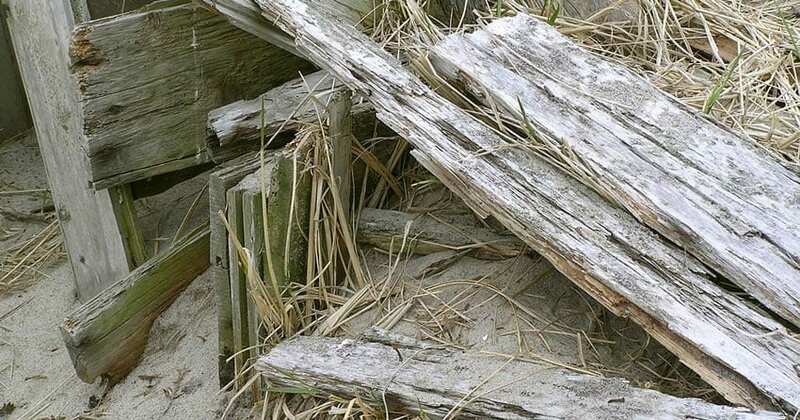 Cavities formed by the collapsed wood, and consolidation of the accumulating sand by beach grass, likely created opportunities for a network of burrows in the dune. In addition to the Chatter Call of petrels flying around the colony at night, adults produce a very different Purring Call in the nest. 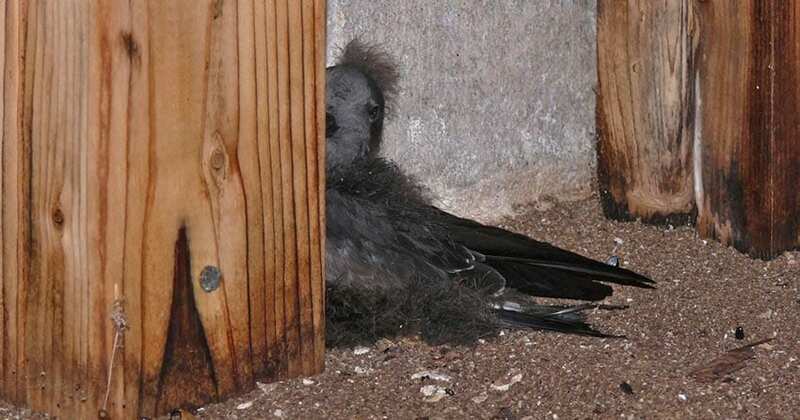 A Leach’s Storm-petrel nestling was found (on September 1st) when some boards in a lumber pile were moved. The chick was returned to its nest and the boards carefully put back in place. The nest was occasionally checked, and each time the chick was larger, with flight feathers developing, indicating that the parents had continued to deliver food to the youngster. In 2007, a pair of petrels began nesting in a windowless concrete block shed at the Nova Scotia Camp. Although it had been a storage shed for propane cylinders, by this time it was mostly empty and used only for storing buckets and crates. 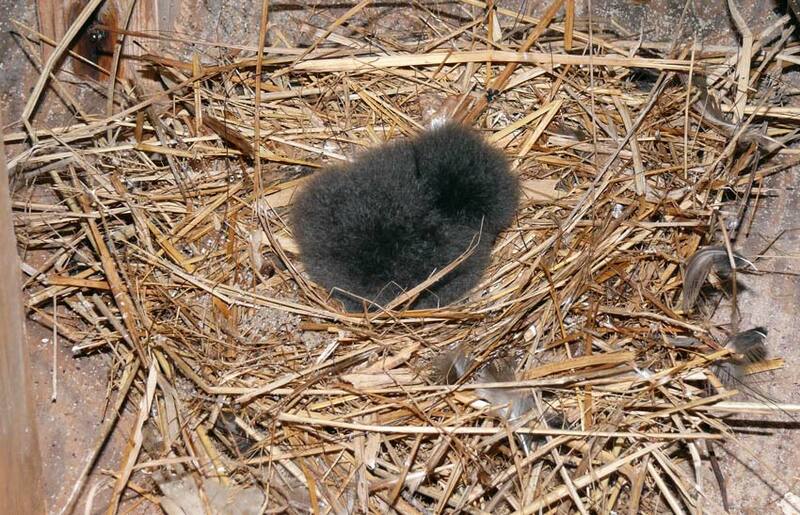 A Leach’s Storm-petrel chick is in a nest located near the wall inside the shed. The nest is made of beach grass. The next season, a nest was built between the upturned buckets. One of the petrel pair is at the nest with the egg. 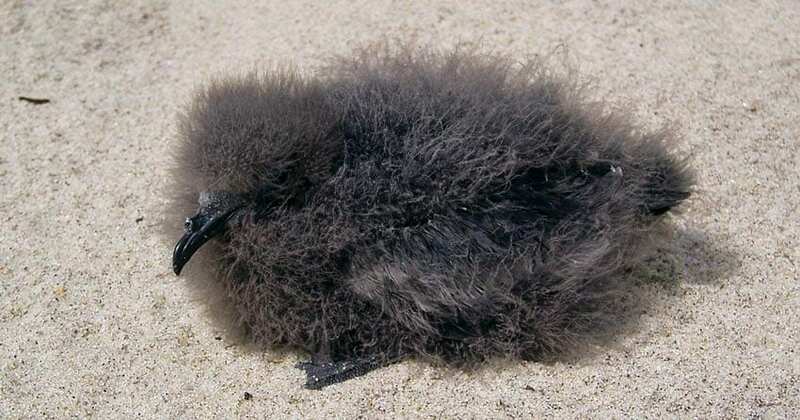 The petrel lays a single egg and incubates it for about 40-45 days. Both parents incubate the egg and feed the chick. After hatching, the nestling is brooded for up to six days. Then for the next 60 days or so, it remains alone in the nest (usually in a burrow) while the adults forage at sea to feed themselves and their nestling. These foraging trips may take several days, with adults flying 100 km or more away from the nesting colony. The nestling is fed during brief nocturnal visits by its parents. 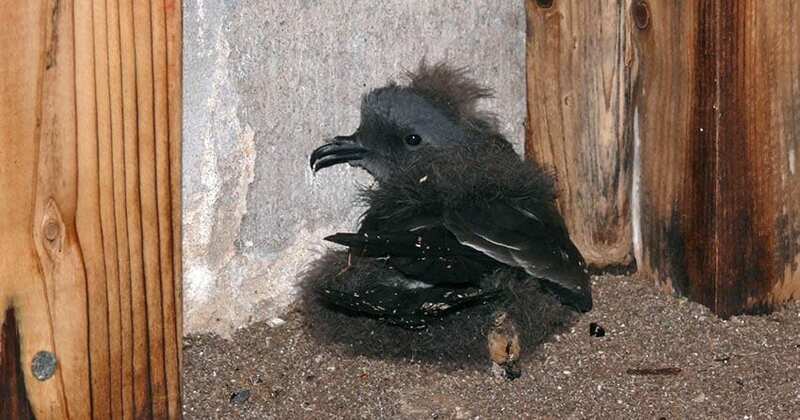 When the concrete block shed was entered later in the season, the young petrel was out of the nest and near the wall. The nestling develops slowly and becomes very fat, but then rapidly loses weight when it is ready for flight in the fall. 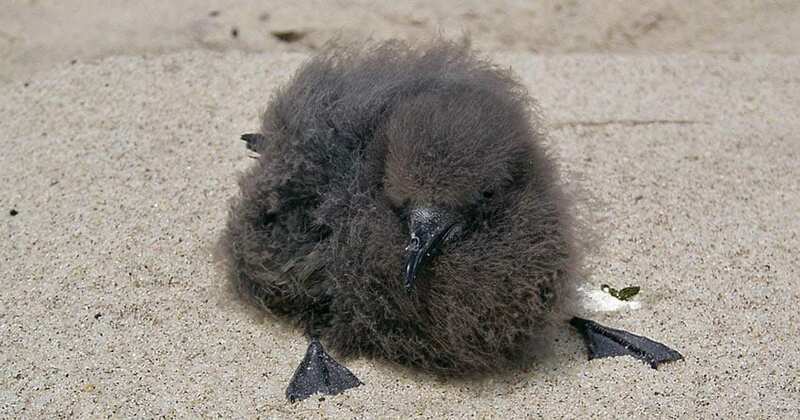 Thus far, most petrel nesting sites have been found near human infrastructure. These are more readily identified because people are usually at the Station and field camps late at night when the petrels are active and vocalizing. 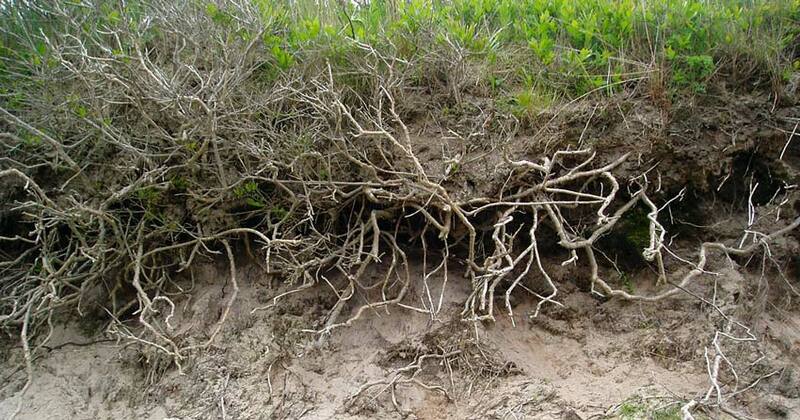 However, nesting sites have also been found away from human structures and materials. 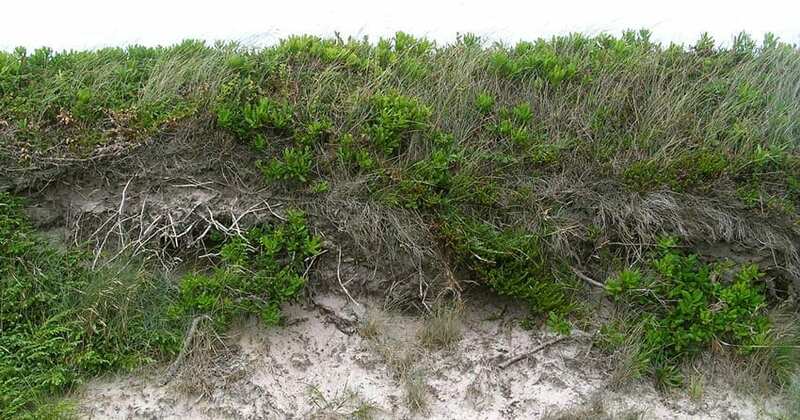 These are areas where the sandy terrain is relatively stable and covered with low shrub and heath vegetation, such as wild rose, bayberry, blueberry, juniper, and crowberry. 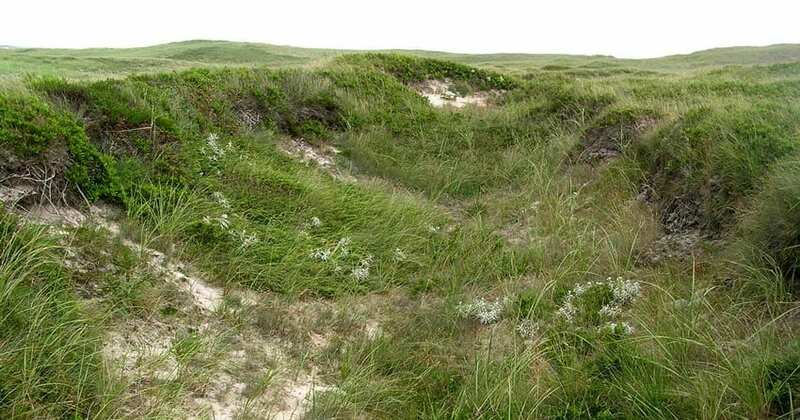 The banks above are typical of the areas where petrel burrows have been found on Sable Island. 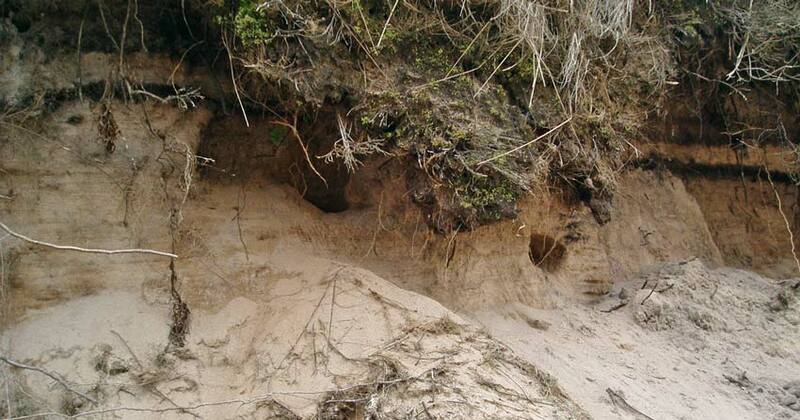 Some of the burrow entrances are under the overhang of slumping terrain, where erosion is cutting into a slope. 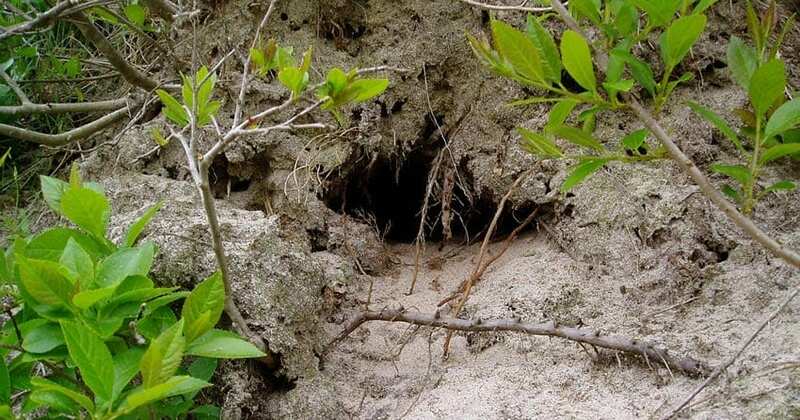 Less often encountered are exposed burrow entrances without any sheltering branches or foliage. Since such burrows appear to lack the structure provided by underground roots and more developed soil layers, they might be more likely to collapse. An unexpected nighttime encounter with a petrel. It was on the sand below several burrow entrances in a steep sandy slope, at about 1:00 am. 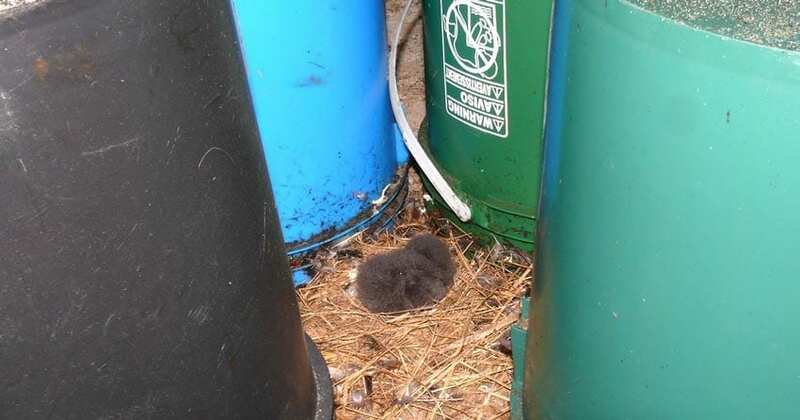 Early in the morning, a Leach’s Storm-petrel was found trapped in an open plastic box containing about 6 cm of rainwater. 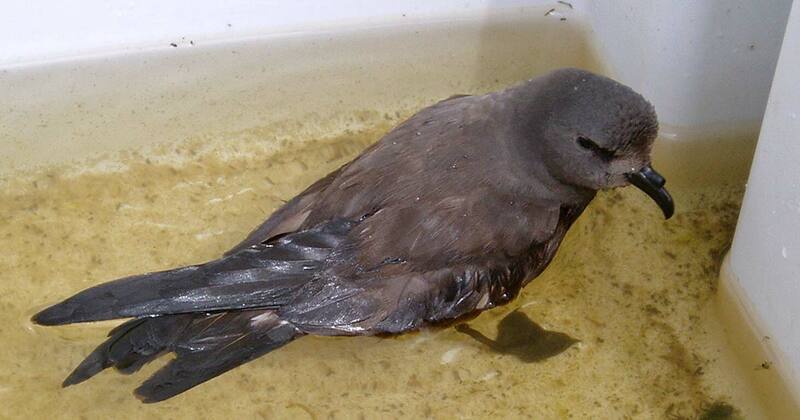 Although they are seabirds, petrels cannot take off from a tightly enclosed water surface. The petrel was taken out of the water and placed in a sunny spot near one of the structures having petrel burrows underneath. After resting and drying in the sunshine for about ten minutes, the petrel scurried into a burrow entrance under the nearby building. For all the racket, Janet recalls the petrels fondly, and rather than losing sleep, we often drifted off with grins on our faces. Semipalmated Plover (Charadrius semipalmatus) used to nest regularly on the island. Birds That Have Occasionally Nested on the Island since the 1990s. 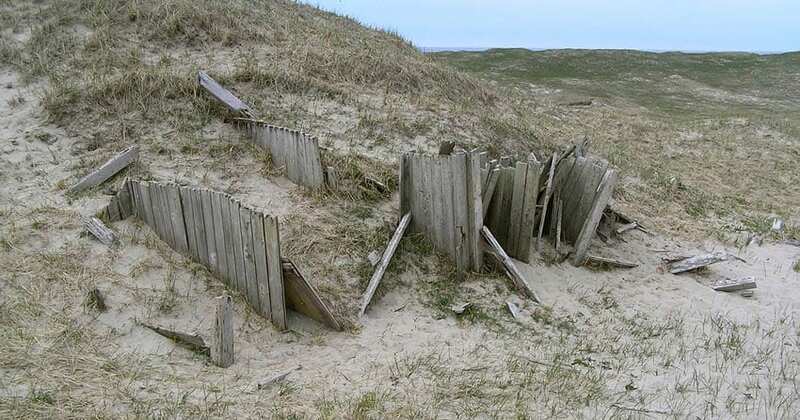 The Sable Island Institute is a multidisciplinary organization developing and conducting a wide range of Sable Island programs, including environmental monitoring, biodiversity surveys, arts and culture projects, and public outreach. The Institute is expanding on the roles of the Friends of the Green Horse Society and will continue the Society’s key initiatives. The Sable Island Institute is registered under the Canada Not-for-profit Corporations Act S.C. 2009, c.23. Website development by Boom12; design by Zoe Lucas/SII and Eraserheader; © 2019 Sable Island Institute, all rights reserved.